ACPC M.Plan Admission 2018 – Admission Committee for Professional Courses recently issued the notification for admission to Master of Planning (M.Plan) for the academic year 2018-19. Interested candidates can check all the details of ACPC M.Plan Admission 2018 like application form, eligibility criteria, selection procedure etc from this page given below. Latest: Status of Vacant seats and Guidelines for admission on Vacant seats has released. Candidates can check for the same from below. For the admission to first year of Master of Planning (M. Plan) in self-financed institutes in Gujarat State, on state quota of all institutions, Government of Gujarat has decided to carry out web-based offline admission process for the academic year 2018-19. Schedule for ACPC M.Plan Admission 2018 is given below. Schedule of Common Entrance Test (PGCET-2018) for Non GATE and Non GPAT candidates for admission to M.Plan. List of candidates eligible after the common Entrance Exam will be published on the official website. 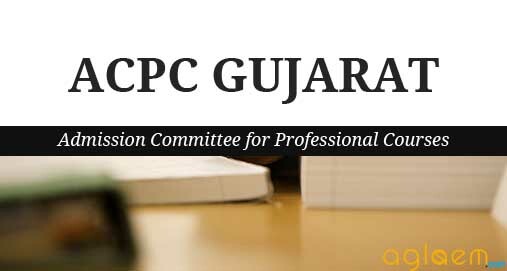 Selected Candidates have to now go through a counselling process at ACPC Ahmadabad. 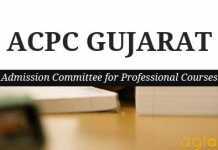 Click here to check the Provisional Merit List for candidates of Gujrat 2018. Click here to check the Provisional Merit List for M. Plan for Out-state candidate- 2018. Click here to check the Instructions regarding M. Plan 2018. Application form to be downloaded from official website or through the direct link that is provided below. Before going to apply candidates must ensure their eligibility criteria and all other details carefully. Application form to be filled and submitted with application fees of Rs. 500/- (non-refundable) cash / D. D. in favour of “Admission Committee for Professional Courses” payable at Ahmedabad with all necessary documents (self-attested) personally or by post / courier to ACPC, Ahmedabad on or before schedule date. ACPC is not responsible in case of any postal delay. In case of a candidate applying without being eligible, his/her application will be summarily rejected and his/her application fee will be forfeited. No correspondence will be entertained in this matter. Application process is over now! The candidate from general category shall have passed any of the above-mentioned degree programs with minimum 50% aggregate marks (minimum 45% aggregate marks for reserved category candidates). The examination will of 90 minutes and the candidates are required to answer 100 Multiple Choice Questions in the provided time. All candidates must note that there will be no negative marking and the answers needs to be marked on an OMR sheet with a Black Ball Point Pen. If a candidate marks more than one answer it would be considered wrong. The detail syllabus for Common Entrance (CET) is as under.